For all of March, we’re on the subject of leadership habits, and the one on our minds this week is engaging with community. Leaders are only as strong as the community they surround themselves with. You’ve heard that you’re the average of the five people you spend the most time with, right? So who are you hanging out with? Are they positive? Focused? Driven? They have more of an impact on us than we realize, so the WHY of community is huge. We’ll also dig into the HOW in our video. 55:30 – 59:31: Join the Intentional Leaders Book Club for a community of leaders! This episode dives into the importance of community for leaders — whether you’re facilitating or participating in a community. Investment/presence in the community: The people involved make it a priority. Depth: The community leverages high-quality discussions and builds high-quality relationships. Inter-connectedness: The members of the community aren’t just in it for themselves — they’re there to lift each other up. When we slack off because we assume other people will lead and will bring their all, that makes for a more negative environment for everyone. (This is \Second Violin Syndrome, which we’ll be talking about more in the Intentional Leaders Book Club April book, The Art of Possibility.) Instead, when we lead from within, we set a great example and a positive tone for the community. Setting boundaries allows leaders to create the community they want — and to protect themselves. Some of the efforts we’ve made as facilitators include creating a list of boundaries, quotas and expectations right up front. When you’re not the organizer of the community, but rather a member of it (34:04), it’s important to have integrity and be willing to (kindly) have difficult conversations as needed. There can be power struggles or power vacuums, so it’s possible — and important — to step up from within. Also, when you create relationships with the facilitator, that makes all the difference in feeling heard and being able to show up fully. Lurking is okay if we’re doing it to be intentional, but when we step out of the shadows, there are so many benefits for you and the community you’re participating in. Just make sure you’re participating in a way that feels sustainable to you! 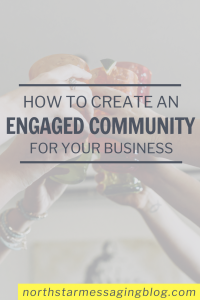 Ready to incorporate a healthy community of leaders into your life? Join the Intentional Leaders Book Club.